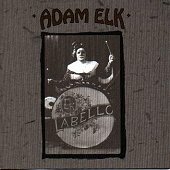 Ex-Mommyhead frontman Adam Cohen (known as Adam Elk here, since Leonard Cohen's son already has the name Adam Cohen as a stage name) goes solo on LABELLO, his debut album. Originally released on San Francisco based indie Dept. of Ways & Means, it is now set for release on Kneeling Elephant/RCA in February 2000. Funk, rock, and pop all play a major role in the development of the songs, while Adam and his band unleash sweet melodies and hard-to-resist grooves, often placed right next to each other. "Love Money" instantly grabs you. The sweet, dripping pop melts from the song as Adam's voice draws you in with tenderness and sorrow, a lethal combination. Well written lyrics ("Love can break your heart/ But money can mend your mind") further the experience, as your jaw drops to the floor at the sheer power of the song. The garage rock intro of "Feeding a Jealous Mind" instantly gets your blood pumping before the song slides into a bed of subtle pop. Eventually jumping back into some raunchy garage rock, Adam and the band always keep things interesting, adding strings to the greasy rocker. Hearing the band rock out while the luscious beauty of the strings back them up, chills are sent down your spine at the magnetism the song packs. "It's Raining In Here" adds some soul to their funk creations. Adam's voice is at once soulful and aching, while the sweet backing vocals help further the soothing vibe of the song, making it instantly hit you in the back of the head once again with various degrees of contradiction. "Maybe You Faked It" finds them at their rock peak, placing a blues touch on top of a sweet, infectious pop-rock ditty. Bold verses sit well next to a pretty chorus, hooking you with the guitar-driven roar before slipping the carpet out from under your feet when the pop of the chorus hits. Playing the majority of the instruments on the album, and inviting friends on various tracks to help strengthen the vibe or groove, Cohen (aka Adam Elk, remember?) writes solid songs that run the gamut from funk to blues, all while making sure pop and rock are the center focus. I'll give this album an A-.